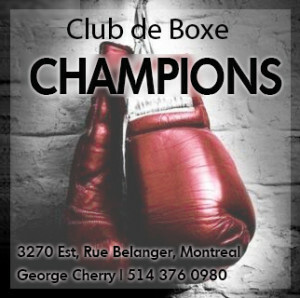 As the old adage has it in the sport of boxing, you’re only as good as your last fight. The assumption of course being that you compete often enough for your last fight to be remembered, much less relevant. 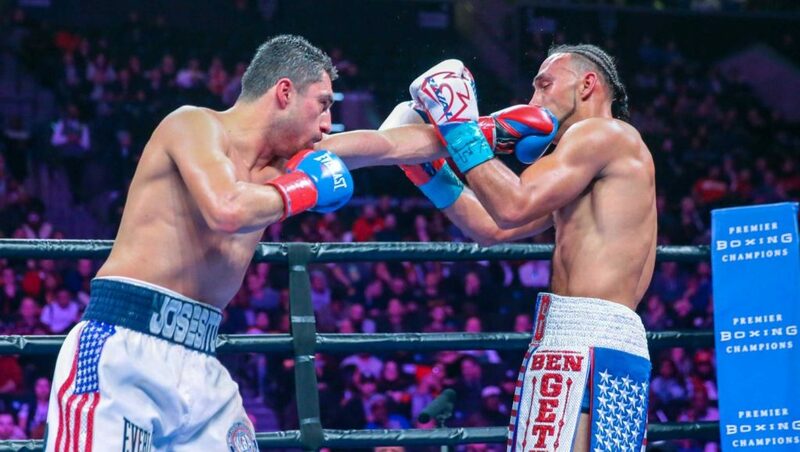 In the case of Keith “One Time” Thurman, his victory over Danny Garcia 22 months ago was a far cry from his life-or-death struggle against journeyman Josesito Lopez, who has fought much of his career as a stepping stone for top-level opposition. 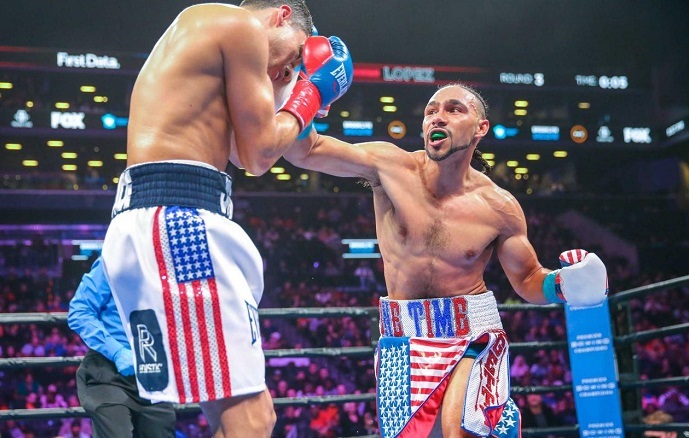 While the “regular” WBA welterweight title has been placed on the line three times since Thurman’s nearly two year hiatus, the Florida native entered the Barclays Center last night as the WBA welterweight “super” champion of the world, whatever that means. Since Thurman’s elbow injury in early 2017, the road to recovery hasn’t been easy; in the 22 months off, Thurman underwent elbow surgery, months of rehab, a hand injury the following year, and the humbling experience of having to relinquish the WBC welterweight title while two men he had taken decision wins from (Danny Garcia and Shawn Porter) fought for the honor. But perhaps the toughest aspect of Thurman’s inactivity was the depression he suffered while in recovery. A long time ago: Thurman decisions Garcia. 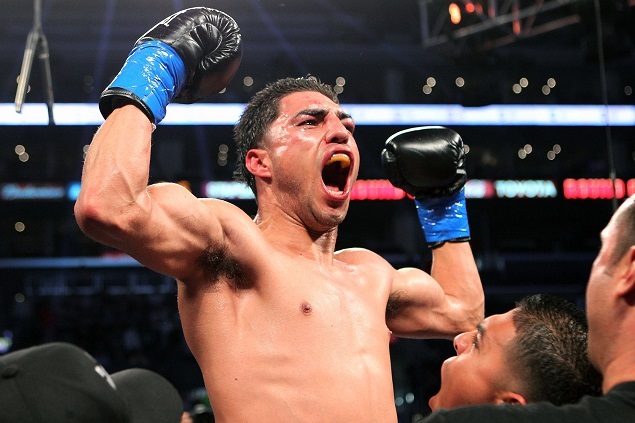 Josesito Lopez appeared to be the perfect pick for Thurman’s comeback opponent, a come forward veteran who has almost always come up short on the big stage, with his best victory coming in 2012 when he broke Victor Ortiz’s jaw and forced him to surrender after nine action-packed rounds. But since then, Lopez has been stopped by Canelo Alvarez, Marcos Maidana, and Andre Berto, although he had given a strong account of himself in the latter two defeats. 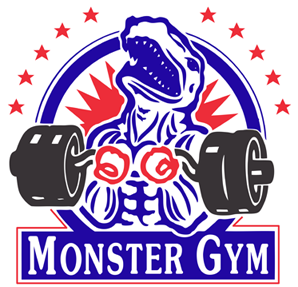 While Lopez was coming off a minor upset in his decision win over previously unbeaten prospect Miguel Cruz last April, he found himself a massive 100-1 underdog to defeat Thurman, odds that more than doubled James “Buster” Douglas’s odds to defeat Mike Tyson in Tokyo. “The Riverside Rocky” was a huge longshot. However, having been working with veteran trainer Robert Garcia since the loss to Berto, Lopez clearly had other ideas in mind than just showing up to be an opponent. 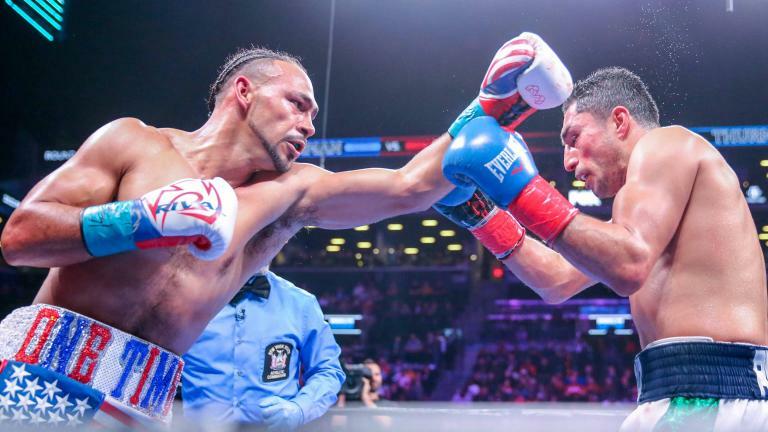 While “The Riverside Rocky” appeared a bit soft around the gut, he immediately took the fight to Thurman, landing some notable punches in the opening round. Thurman, though, was using his lateral movement and setting up quick combinations that carried the opening round in his favor. 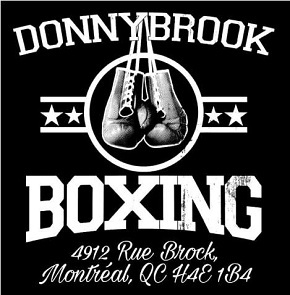 In the second, Thurman drew Lopez in by using a throwaway right hook to the body to set up a counter left hook that put Lopez down. A quick night of Thurman fireworks appeared imminent as “One Time” went on the attack for the remainder of the round, landing a fusillade of crisp leather in a bid to secure the knockout. Thurman remained in control for most of the early rounds, while Lopez did score a hard left hook in the fourth that appeared to get his opponent’s attention, but even as Thurman was handily winning rounds, Lopez began to close the gap and land more regularly, and it became evident that Thurman was making the dangerous tactical mistake of squaring up as he circled off the ropes, leaving himself in a vulnerable position both offensively and defensively. Lopez made Thurman earn his comeback win. In the seventh, Lopez made Thurman pay for this error, catching the champion with a hard left hook as Thurman circled to his right. Thurman was badly hurt, stumbling back against the ropes and eating several shots to the head and body. For the remaining two minutes of the round, he was on wobbly legs and took tremendous punishment from Lopez, and referee Steve Willis appeared close to stopping the fight. All three judges had the round scored 10-8 for Lopez, who made up for his own two point deficit in round two. Clearly emboldened by the damage inflicted on Thurman in the seventh, Lopez was effective in the next two rounds. 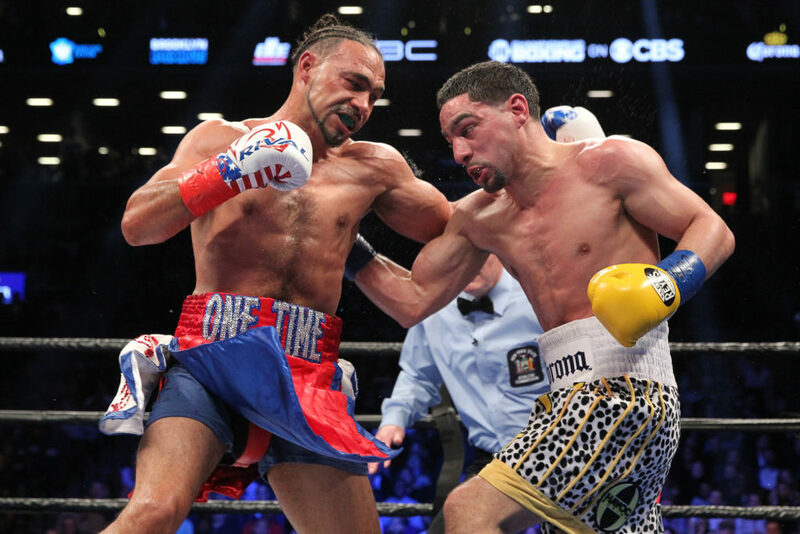 However, Thurman was slowly regaining his bearings and began to control the action again in round ten. Although Thurman appeared comfortably ahead on points, the fight had developed into a real barnburner by the championship rounds as Lopez remained dangerous and determined to pull off the monumental upset. Lopez wasn’t landing as frequently as he had in the seventh through ninth, but the punches he was able to connect with had a clear impact on the champion, who was far from eager to stay in the pocket with the challenger for extended periods of time. The fight went the distance and while one judge scored it 113-113, the other two saw Thurman the victor by comfortable margins. What’s next for “One Time”?